Integrated sheathing products that can provide at least two of the needed barriers as part of an overall system for wall and roof assemblies are replacing traditional materials and methods on many projects. These products typically come in the form of engineered structural wood sheathing with preapplied coatings that qualify as both a water-resistant barrier and an air barrier. 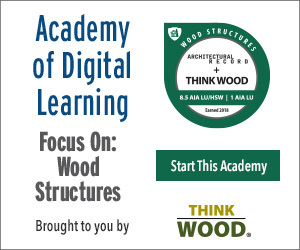 This means that a single high-performing wood sheathing product can be specified, used as the basis of design, and installed by a single trade in the building. Such integrated sheathing systems rely on factory-created sheathing surfaces that are tested to achieve both air- and water-barrier standards with a higher assurance of performance since they are installed under controlled conditions. In some cases, they can also include a thermal barrier of air-impermeable continuous insulation of differing thickness preapplied to the sheathing and ready to install. Overall, design and installation can be simpler and quicker to detail and install, reducing the amount of labor and skill needed in the field to create an effective, high-performance end result. Continuity of the air barrier across a roof is important in all cases but especially those where vapor ports are used. Integrated sheathing with tape designed for addressing seams and transitions is a simplified product solution to meet this need. Of course, such integrated sheathing products need to address the joints, penetrations, and openings just like any other system to assure continuity and effectiveness. In this case, that is achieved with self-adhering tape, sealants, and even liquid flashing that are part of the same overall system. The beauty of these components is that they are already determined by the manufacturer to be directly compatible with the sheathing, which is critical since noncompatible components could separate and fail over time, causing significant breaches in the barriers. The flexible characteristics of the tape and liquid flashing also allow for a lot of versatility to accommodate design variations or differing site conditions. They can conform completely to the shape of the substrate surface to seal and protect the surrounding construction in a truly continuous manner by covering the joints and seams between the pieces of sheathing. This allows for the needed structural gapping in the sheathing but assures that the air and water barrier is fully continuous even with minor expansion and contraction of the sheathing panels. Penetrations can be treated in the same manner with the self-adhering tape covering the entire perimeter of the hole or opening and wrapping the edge of the sheathing. Once the reason for the penetration is installed (i.e., pipe, duct, wire, etc. ), a compatible sealant should be used to fill in completely any remaining gaps. As a fully integrated system, manufacturers have been able to subject the whole system to standardized testing to demonstrate performance and code compliance. For example, the International Code Council has a subsidiary that evaluates different submitted products and produces ICC-ES Evaluation Reports documenting its findings. In the case of integrated sheathing products, ESR-1473 documents the tested sheathing and tape as being in compliance as a PS-2 wood structural panel, roofing felt, and underlayment all in one product. In ESR-1474, it also reports on the ability of the system to act successfully as an air barrier. Overall, this type of multifunctional, integrated single-panel system streamlines wood-framed roof construction by providing a water barrier, air barrier, and structural roof deck all in a single product. That saves time and money compared to multiple layers of individually installed products like sheathing plus peel-and-stick or other field-applied barriers. Reducing the layers of product installation in this manner lowers the risk profile for design and construction professionals by reducing installation steps and the number of products used. It also helps to assure that unvented roofing designs, whether meeting the 2015 or 2018 code provisions, have a reliable way to achieve a continuous air barrier along the exterior and vapor-diffusion ports when used. Ventilate attics and roofs as much as possible. Simple roofs are more forgiving than complex ones; avoid unnecessary complexity. Select materials for roof assemblies from manufacturers that provide comprehensive hygrothermal (vapor permeance) performance data. Choose manufacturers willing to work with you on how their materials perform in combination with all other components of the assembly. Using integrated materials means that coordination is already built in. Focus on continuous control layers in this order: water, air, vapor, and thermal. The air-control layer needs particular attention - make roofs airtight. Do not vent to manage air leakage; this is a losing proposition. Manage energy and moisture with equal intensity. It’s not just a good idea; it’s required by codes. 1Yost, Peter. "Avoiding Wet Roofs: A building-science guide to insulating attics and roofs". The Journal of Light Construction. June 2018. Web. 7 Nov. 2018. ZIP System® building enclosures offer structural and sealing products for a quick rough dry-in. A revolutionary alternative to traditional sheathing and building wrap, ZIP System™ sheathing and tape create a streamlined roof and wall sheathing system with integrated weather and rigid air barriers. The simplified approach to structural roofs and walls helps building teams save time by eliminating installation steps and achieving a quick rough dry-in to accelerate interior work. Backed by a 180-Day Exposure Guarantee and 30-Year Limited Warranty, ZIP System building enclosures not only help keep jobs on track but also provide reliable exterior water management during and after construction. Learn more at ZIPRevolution.com.